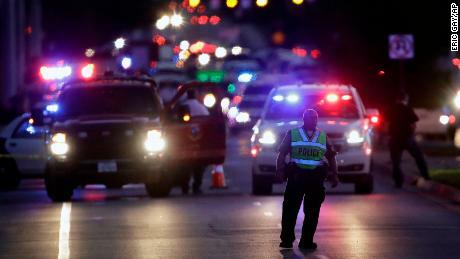 The mysterious bombs killed two people and wounded several others, stunningthe Texas capital normally known for festivals and live music. The wave of attacks started with package bombs left outside homes on March 2 and March 12. It escalated this weekwhen the bomber rigged a tripwire with an explosive, and two days later, sent a package bomb through FedEx.With every shift in tactics, fear spread as the attacks got increasingly unpredictable. After nearly three weeks of panic and mayhem, police cornered the man they described as the serial bomber Tuesday night. When SWAT officers approached his SUV, he blew himself up in a ditch outside Austin, authorities said. The first attack on March 2 started with an ordinary sight — a package left on a doorstep in north Austin. That would become a theme for the first three bombings. When Anthony Stephan House opened the package on his front porch, it exploded, killing him. The 39-year-old father worked as a project manager for Texas Quarries.The blast reported at 6:55 a.m. received little attention at first, and was considered an isolated incident with no threat to the community. But it left residents fearful of delivery drivers and packages. "Everybody in the neighborhood is on pins and needles," Daniel Sledge told CNN affiliate KEYE at the time. Two more blasts quickly changed the course of the investigation.The first package was left outside a house in east Austin on March 12. When Draylen Mason brought it indoors to open it, it exploded and killed him. 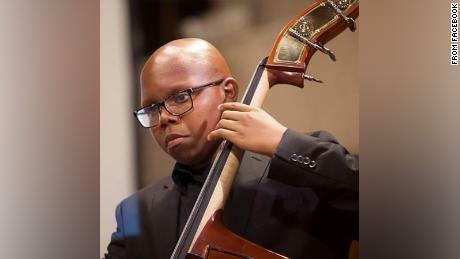 The 17-year-old high school student played bass in a youth orchestra, and was taking college classes. Like House, he was African-American. Both their packages were not delivered by commercial carriers, police said. As police processed the scene at Mason's house, another package bomb exploded in southeast Austin and injured a 75-year-old woman as she picked it up outside her home. The Hispanic woman's injuries, in addition to the two black men's deaths, sparked fears of hate crimes.Word of the attacks spread, and so did the panic. Police warned residents not to touch unexpected or suspicious packages. "Call 911," Austin Police Chief Brian Manley said. "It's appropriate for residents to be concerned." The bomber shifted tactics again on March 18. A tripwire tied to a "caution, children at play" sign detonated when it was breached, leaving two men, ages 22 and 23, hospitalized, police said. Unlike the previous blasts, it was not a package outside a home. Unlike the previous incidents, the victims were white. The tripwire, authorities said, indicated the attacker was more sophisticated than previously believed. Two days after that blast, the bomber's tactics shifted yet again. A package exploded on a conveyor belt at a FedEx facility outside San Antonio on March 20, injuring an employee. 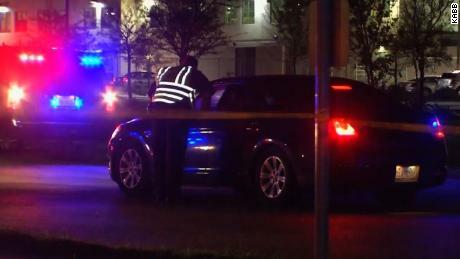 Investigators suspected it's related to the Austin explosions, making it the first explosive device the bomber shipped.About six hours later, police received a call about another suspicious package at a FedEx facility in southeast Austin. Authorities intercepted that package before it went off, local and federal officials said in a statement. The FedEx incidents provided crucial information.Law enforcement secured surveillance footage from a FedEx store south of Austin. It showed a man in a baseball cap, a blonde wig and pink gloves, bringing two packages into the store.By then, authorities had concluded the bombs were made from common household items found in a hardware or sporting goods store, a law enforcement source told CNN. They had scanned receipts at area stores for clues, and along with witness sketches and surveillance video, the investigative pieces started falling into place. Convinced the bomber was 23-year-old Mark Anthony Conditt, police moved quickly before he struck again. They used cellphone technology Tuesday night to track him to a hotel in Round Rock, 20 miles north of Austin. There, they spotted his vehicle.Police and federal agents surrounded the hotel and called for SWAT backup in case he had explosives. As they waited, Conditt left in his vehicle. Police followed him as he drove on the service road along Interstate 35, passing by restaurants, gas stations and hotels. The vehicle later stopped in a ditch as a SWAT team cautiously approached. As police closed in, Conditt detonated a device inside his vehicle, injuring one officer while another one fired at him. "We literally had Austin police officers running toward a vehicle that had an explosives device in it that detonated. That is unbelievable courage," FBI special agent Chris Combs said. Conditt suffered significant injuries and died in the blast. It's unclear whether he died as a result of injuries from the explosion or the gunfire.Officers detained and questioned his two roommates Wednesday after searching his house. The two are not under arrest, Austin police said. When he helped to found Microsoft, Paul Allen changed civilisation. He ushered in a world of comput.. But the Colorado woman and her two daughters, Bella, 4, and Celeste, 3, were found dead Wednesday. H..